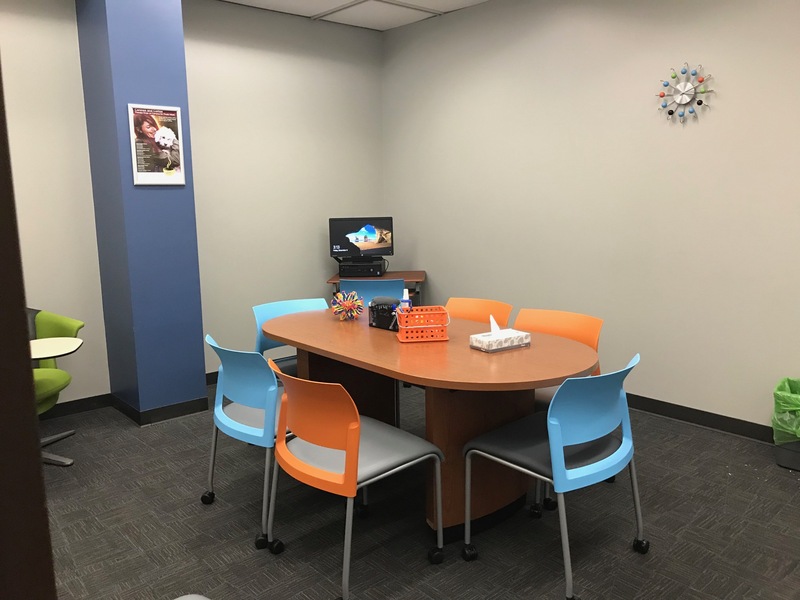 The Northeast Library Study Room is available for group study sessions, meetings, test taking or other academic uses. The room can be booked for individual use, but groups have priority. Each reservation has a 10 minute grace period. If your group has not arrived after the first 10 minutes of your reservation, and you have not made prior arrangements with the library, the room may pass to another group. The room contents and features include. 1 White Board Wall with markers, erasers, etc.